Do you know what I love about writing and blogging? I mean, other than the fact that sometimes magazine companies send me random subscriptions after I tell them that it’s a violation of WordPress.com’s TOS for me to review products for monetary compensation? That’s pretty great because reading paper magazines makes me feel so 1999 and we all know that nostalgia is my homegirl. I like the magazines, but today we’re going to focus on something else that is pretty awesome about writing: the more you do it, the better you get at it. You could say that for mostly anything, I suppose, but I have found it to be more true in my writerly exploits than in, say, my quest to make the perfect loaf of bread. While I love fresh bread and nearly collapse in sheer glee when it comes accompanied by butter*, it’s easier for me to just go out and buy a loaf than it is for me to sacrifice 48 hours to making my own. In the handful of instances in which I’ve tried to make my own baguettes, the bread usually turns out so pathetic that even the ducks at a local pond wouldn’t have anything to do with it. No harm, no foul. Please someone tell me that got that duck-foul joke. No one? Bueller? *I started typing “freshly churned” butter but set me up with some Country Crock and I’m good too. Class. Writing is different. Unlike bread, I have to make my own, and I’m constantly tinkering with it to see what I could be doing better. I’m not going to wake up one morning and be John Steinbeck – hell, I won’t wake up one morning and be the literary equivalent of AC Slater – but I’m still going to look at the little things I’m doing in my writing projects and analyze them, making changes along the way. That constant reexamination is another way baking bread is worlds away from writing. Once you learn to make the perfect loaf that has the exact density, flavor, and chewiness that you desire, you commit that recipe to memory. I’ve heard of family restaurants that haven’t changed their recipes in over a hundred years because why would they want to change something that so clearly works? Writing is a lot more fluid, and if I’m moving forward as I hope I am, I have to recalibrate even the small things so that the pieces I produce are worth my time and yours. I’m sifting around in my kitchen for that perfect recipe, and when I find it, you’ll know. I suspect it has a great deal of cheese it in, but I could be wrong. I have had to-die-for Brussels sprouts before. Shut up. I’m not lying. Remember the Time is now going to be a monthly rather than weekly event. Sometimes you need more than a week to come up with a post you want to put your name on, and we honor that. Our time (and yours) is at a premium these days and we don’t want you to feel a needless crunch to write something that your heart isn’t in. We will announce the prompt on our blogs the third Thursday of each month, and the Inlinkz linkup tool will be at the bottom of the post, just like usual. Another benefit of making RTT a monthly event is that the push to read all the posts of your fellow participants will be reduced since the event will occur for a longer period. We’ve always encouraged audience participation when it comes to these events, but we just want to reiterate how much you will get out of RTT if you leave comments on your fellow RTTer’s posts. No one wants to be blogging in a bubble. Pay it forward, yo. We hope these changes will suit RTT better, and we appreciate everyone who has EVER participated. You make it worth doing. As always, grab the badge and stick it at the bottom of your post when you put it up. Add your link below and come back to see all the other great posts your blogging pals have written! Comment on them and tweet and share your favorites using the hashtag #RTTbloghop. The link-up closes at 11:55PM EST Wednesday, February 19th, so get your link in before then. What a fabulous analogy! I tend to use too much yeast in my recipe and as you so righteously wrote, it is worth everyone’s time to keep working to make it just right. Thanks for a great post, Mrs. Em! Thank you, SSM! I have no idea how to properly knead and I think that’s my problem. Love what you said about bread and writing. So true so true. I’m coming up on my year anniversary w/blogging and it’s amazing how just writing these thoughts down cement some important thoughts and idea into your head and for others too, while otherwise they would be fleeting thoughts…. I do make my own bread though–the strange thing is, it’s never consistent, so I still tweak that too! Interesting about your linkup–have not heard of it so will think it over! That’s one of my favorite things about blogging too, Robin, and I remember being about a year in just like you and standing back, feeling in awe that I actually had something to say all that time. Another great thing about blogging (and journaling) is that it gives you such a great snapshot of where you were in life when you pinned your words down. We’d love to have you join RTT with us! It’s a great group of bloggers! As always, I love your posts and I’m really pleased that I am in time to participate for once! I may be cheating, but this is the post that I created for Rara’s Challenge yesterday and I’d love to share it… Hope you all enjoy! Looking forward to reading the other posts!! That is totally fine, Suzie! Not cheating at all! Could you also add your link to the blue Inlinkz box at the bottom of this post too so that all of our RTT participants will be able to find it too? I have to admit, my heart jumped because I thought you were going to say RTT is no longer. I would’ve been sad. I mentioned on Kelly’s blog too that I love this hop but I haven’t always been able to do it because of other things I had going on so I’m so very glad you’ve changed it. It’s not necessarily for the post, but because I want to read the other people who link up and I didn’t want to link up if I couldn’t do that. So, thank you! I’m excited! Thank YOU, lady! I agree about the reading; I think a lot of people don’t really know what they’re getting in to when they do linkups, and they don’t realize that reading and commenting on the other entries is almost as important as writing itself. Hopefully, since we’re spreading it out a little more, it won’t be such a burden to binge read all in one day. Great idea! I would love to participate again, but that ‘time’ thing keeps getting away from me. PS- you have far surpassed being the literary equivalent of AC Slater. He was entirely overrated. You cracked me up with the Country Crock bit. Great post, love the analogy of break making and writing. Very clever. Country Crock continually inspires me. It’s pretty much the best muse ever. Thanks, Neeks. One of the nice things for me about link ups is seeing how everyone uses different language to explore the same thing. The sad part is it shows how horribly I write compared to some others! I can tell how hard you work at your craft. Your writing is exquisite. It’s a bit sneaky, because you always start off so accessible and down to earth, and then you segue into the intangible – and I just don’t know how you do it. “Writing is a lot more fluid, and if I’m moving forward as I hope I am, I have to recalibrate even the small things so that the pieces I produce are worth my time and yours.” – The analogy, the nod to your readers, the desire for growth. Everything. 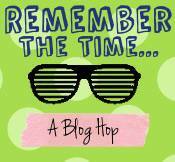 I didn’t know blog hops had a bad rap; I’m still a newbie. I haven’t participated only because I’m still trying to figure out a way to juggle everything. I did try (and spectacularly fail) at Rara’s challenge this week, but now I have another chance. Yay! Thank you, Samara! I *do* work hard at it but sometimes I stagnate for months on end so it’s important for me to just jump in and grow when I feel that urge. I should mention that reading your blog really energizes me and makes me realize that I should stop being so guarded and just put things out there. You really have a gift for coupling strength with vulnerability in your words. Unfortunately, blog hops do sometimes have a bad rap. Last week, The Daily Post did a short post explaining the benefits of getting involved in blogging events and linkups (and RTT even got a mention!) and someone was in the comments discouraging new bloggers from taking part in blogging events, alleging that they all create a false sense of blogging success because they give you a short burst of traffic and comments, but then that success is never repeated unless you continue doing the bloghop. It was frustrating to read that because RTT is a writing exercise, not a way for me or Kelly to gain extra traffic on our blog or lure unsuspecting bloggers into our clutches or whatever. However, I DO know what that blogger was referring to and our bloghop is not structured to be that way. What a silly bit of feedback! Is blogging only about traffic then? Not about exercising your writing muscles? Early on I wrote a post about blogging vs fame whores. I regret the tone of the post, but I do think some bloggers are not, at heart, writers. You are a writer. In every pore of your being. I like the idea of the monthly hop. I love this hop, and try to participate, but sometimes, I feel a little tied down when it’s every week. Great idea girls!! :) And, I agree with the above comments about the writing. Love yours. This prompt is going to make me think, so I definitely will need some time. Mine aren’t always all that happy, either, and I have definitely shared some darker ones through RTT. I’m glad I did, though, because the people who read them were very supportive and understood that I was baring my soul. For some reason I’m really, really craving French bread right now, but with Smart Balance. Country Crock is just wrong. Is Smart Balance the margarine that helps you poo? Or is that just Activia? Either way, I can get on board. Yay!!! Glad people are liking this idea! And Emily, now that you have all this time on your hands…go make me some bread. I’ll try to make you some, but I can’t guarantee that it won’t have toddler in it. I love Brussels sprouts. Also, the bread/writing metaphor was lovely. And that foul pun is the reason I enjoy you so much! Your literary baguettes are pretty impressive in my opinion. I made a goal to link up with this hop and making it monthly will be easy for me to hold on to that goal. Yay! I’m down with going monthly. I will reuse the post I did for rara’s prompt. LOVE this idea. I’ve been a fan of RTT since you started. Initially, I tried to do it each week, but then couldn’t keep up. But having it be monthly, makes it much easier to work on a post and include it here. I find that RTT has always taken me to some more complex, expansive memories. Writing a post is never a quickie, for me, when it comes to RTT… I am excited to participate, and have a few weeks to pull it off. How exciting! In an uncharacteristic display of Rarasaur-cranky-pants-ness (and I’m not even sick!) I’m going to go ahead and say that those who say bloghops are for traffic generation and even remotely refer to you guys– well, they were most definitely wearing cranky pants. And cranky hats. And cranky shoes. They also have OBVIOUSLY never tried to manage one of these things. As if any boost in traffic is worth that without some other emotional benefit! Plus, they’ve obviously never taken the time to actually look at RTT or any of the other marvelous prompts that Pressers put out there. That said, I think the monthly thing is awesome. I always end up writing a book length post for RTT. They’re my favorites, but I always wish I had time to shorten them a bit– make them crisper. This time will make my writing better, and it sounds like it’ll make the RTT community stronger. I’m excited! Oh, the senseless hordes of zombie non-readers! They are everywhere!!! Thank you for thinking of such a great prompt! I can’t wait to see what everyone submits! I’m so glad you’re making this change. I am one of those remedial people who can’t think fast enough to respond in a week. Hopefully I will be able to participate sometime! 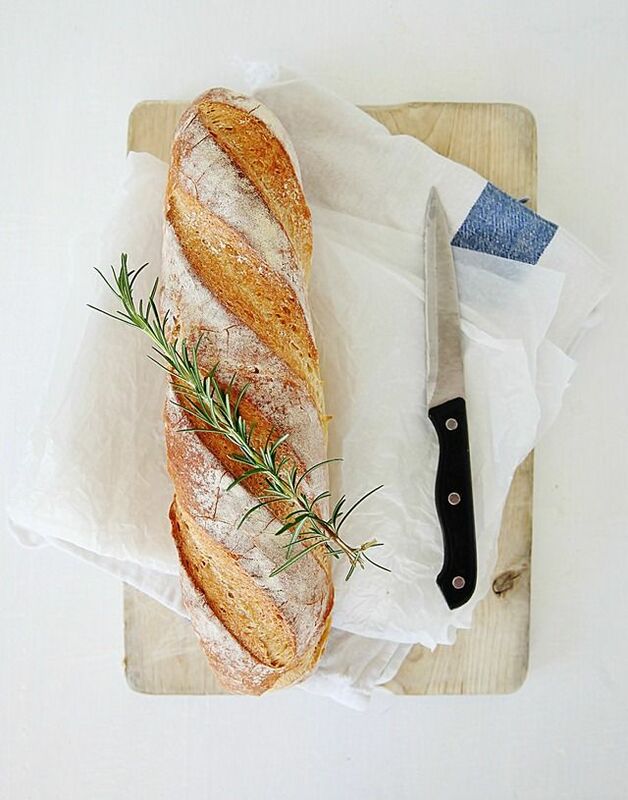 By the way, it is VERY easy to bake bread, and everybody thinks you’re totally smart!